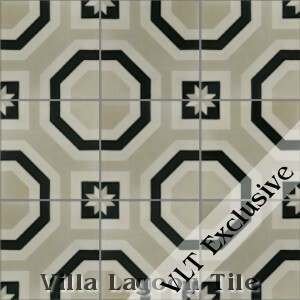 "Adams" Cement Tile On Sale! 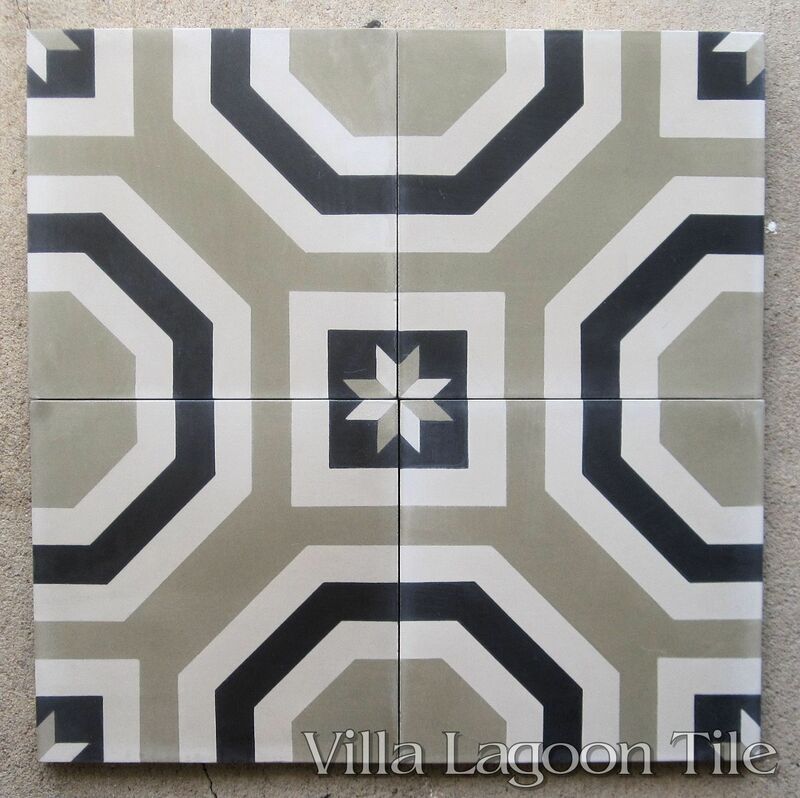 This is a 3-color 8" cement tile, using Dry Sage, Smoke and Black from the South Beach Palette. 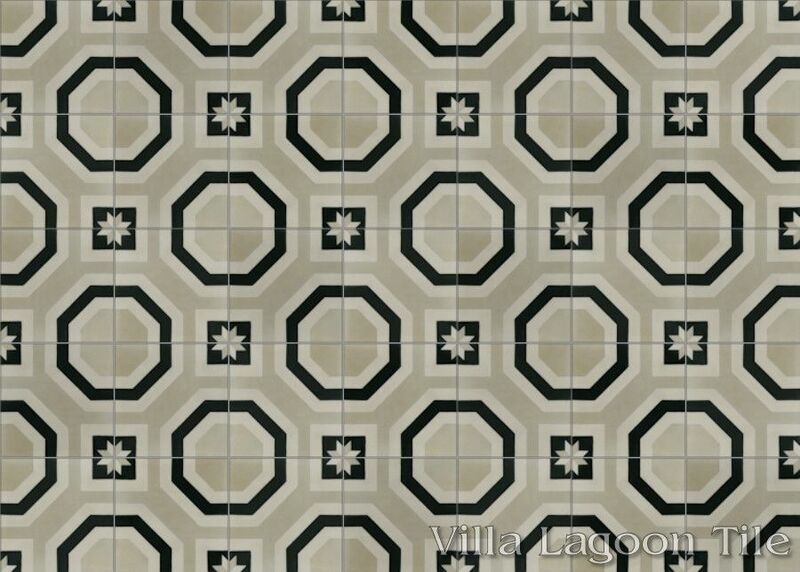 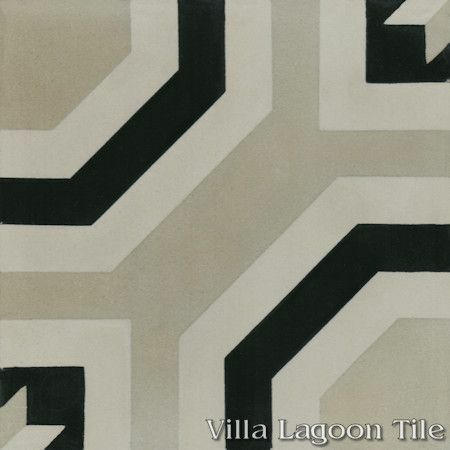 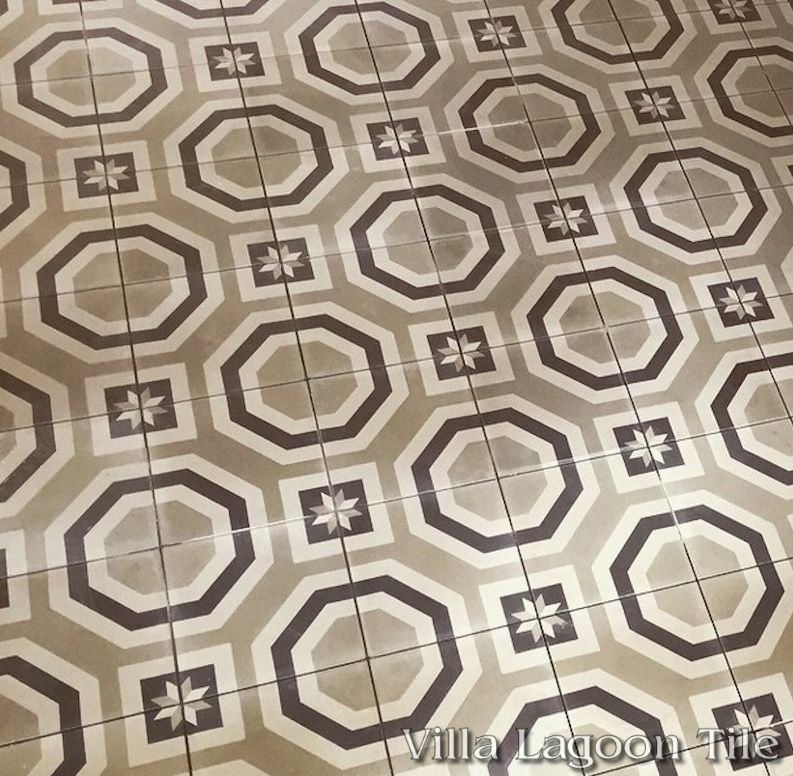 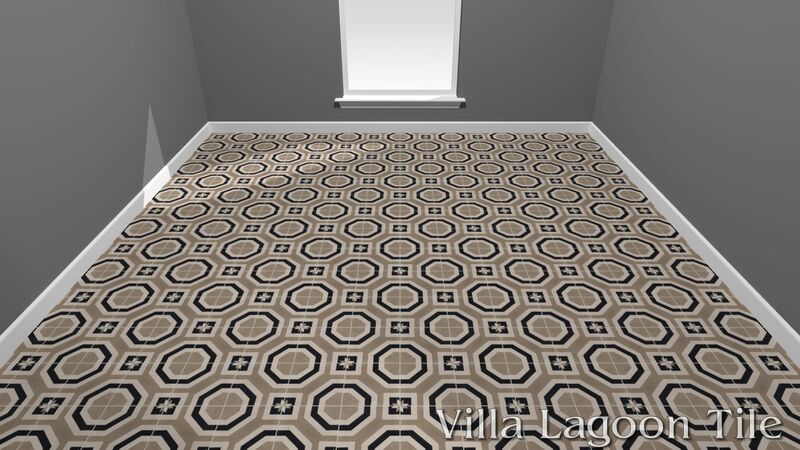 This original Villa Lagoon Tile design takes the traditional octagon a step farther. 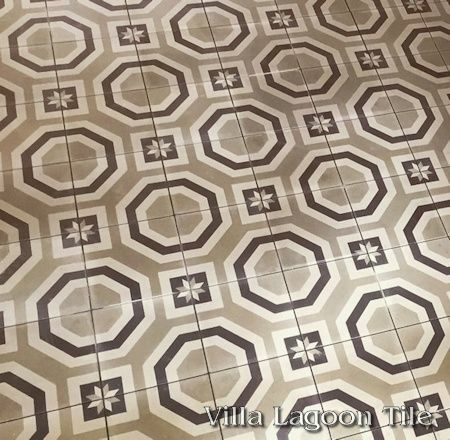 While retaining the classic look of octagons with square keys, this square pattern provides multiple concentric octagonal rings, and a classic eight-point star in the key. 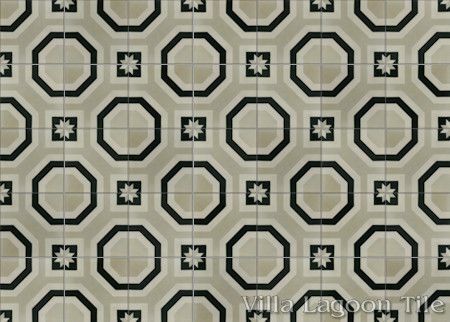 "Adams", Lot SB-C08, Limited Stock Clearance Sale! 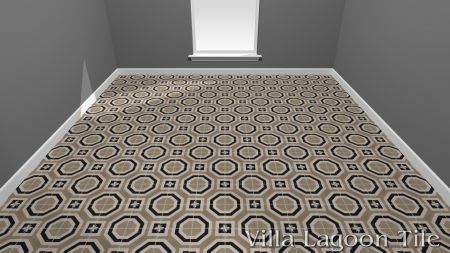 40% Off: $3.74 per tile ($8.61 / square foot) 5.22 square feet. Construction photo from The Westendorff, Charleston, South Carolina.